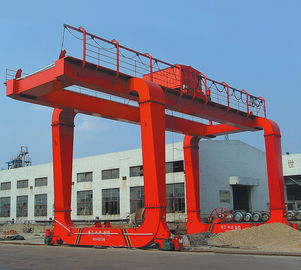 BOX TYPE Gantry Goliath Cranes for precast yard offer an economical solution to overhead cranes when the building is inadequate to support a bridge crane or the crane system is to be located outdoors. A box girder portal gantry crane is a gantry crane that utilizes a "box" configuration in fabricating the girder. 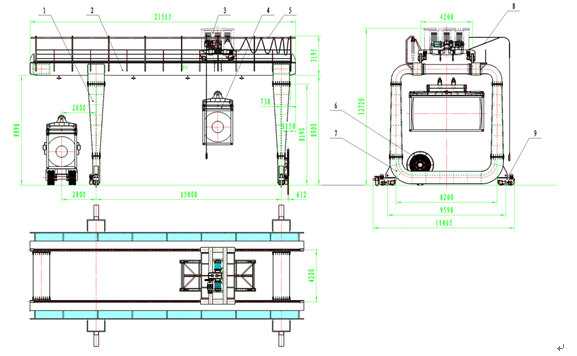 This box girder design incorporates a four-sided box with a running surface plate for the hoist trolley attached to the bottom of the box. The advantage of the box girder is that it possesses greater loading capabilities and is able to apply to bigger bridge distances. The crane is generally utilized in pairs with the hoisting mechanism operating on rails attached to the top of each box girder. 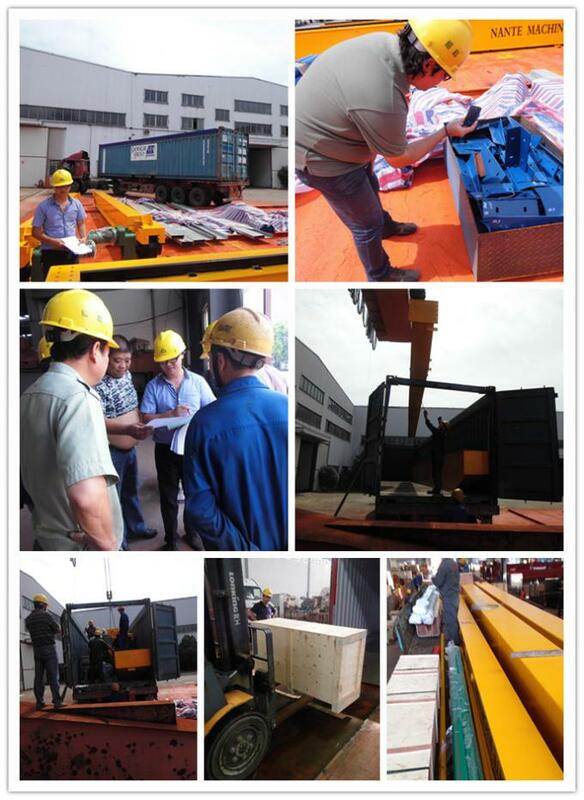 is welded of steel plates, connected by high-strength precision bolt. There are sliding rail for trolley to travel upper the girder which is fixed on outrigger by high-tension precision bolt. Warning: wire ropes need to be examined regularly and changed in time if there is a 10% broken wires, loosen wires and wearing down.